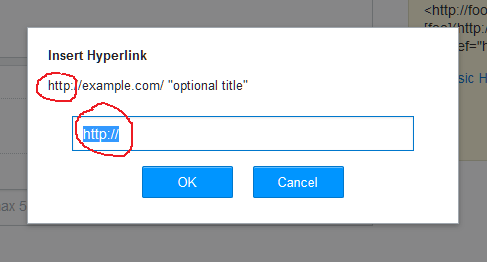 It still shows http://example.com/ and the http:// prefix. I checked this todo-list, but it's not mentioned there. Proposal: change the example url and prefix to https://. This has since been fixed - sorry for the late meta update!